Latin Dance Shoes for discount online dancing shoes shoes. Latin Dance Store is dedicated to quality customer service and satisfaction. Please call for any questions or concerns toll free at 877-883-2109 or locally at 714-638-5600. 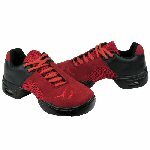 We provide the best source or affordable discount online dance shoes. Latin dance shoes, ballroom dancing and swing shoes. 9627 Chapman Ave. in Garden Grove Ca. 92841. We keep a large inventory on hand so come in and try your shoes on. You don't need to order from a catalogue if you live locally.